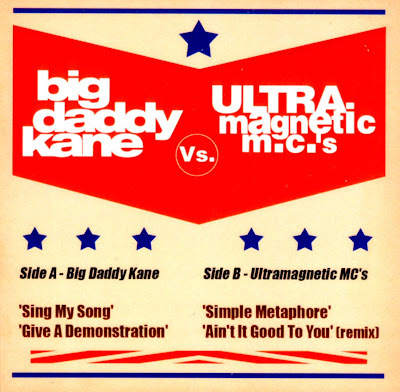 Werner von Wallenrod's Humble, Little Hip-Hop Blog: Bootleg Special: Big Daddy Kane Vs. Ultra-Magnetic M.C.'s! 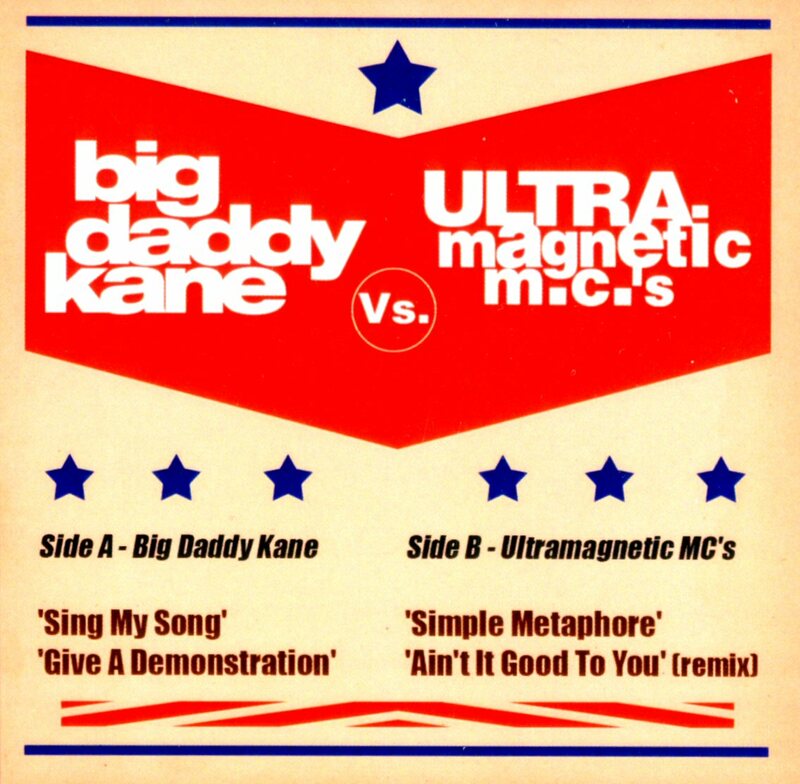 "Sing My Song" was left off Kane's the "Looks Like a Job For..." album. There was an official WB promo tape on eBay a year ago that had it in the track sequence. werner...please tell me the name of the store that had copies of this. you took down the link but they had loads of other great stuuf and now i cant remember the name....HELP!!!!! Go to Rare Kind Records. Best record shop in the UK. damn I have have that Kane tape... might have to sell it, didn't realise the track was so in demand! These were pressed up somewhere in Europe I think. I grabbed a copy from a market stall in London & they told me that the dude who traded the records with them had made up a private pressing for a few friends and then traded the leftovers with a few shops/dealers. This therefore won't be easy to find..